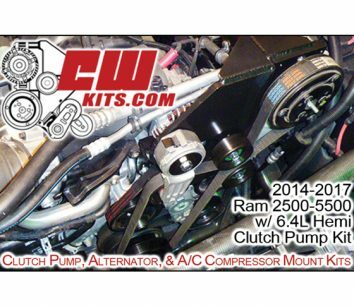 CW Mill Equipment Co. has a large selection of front-end accessory drive mounting kits for clutch pumps, alternators, a/c compressors and generator kits. CW kits fit most light-duty and medium-duty trucks built since the early 80s. Our knowledgeable sales staff is available to help with application questions. Distributors across the U.S. and Canada provide local system support. Call 785-284-3454 or visit www.cwkits.com. 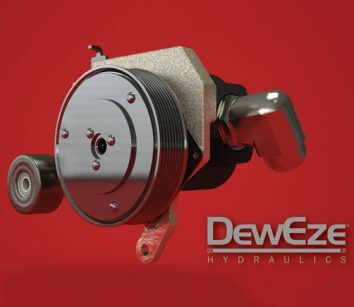 DewEze continued tradition of easy installation with minimal OEM changes carries on with the 2018 DewEze Clutch Pump Kits, including the Ford 6.7L diesel dual alternator. Call 800-835-1042 for additional information or visit www.deweze.com.